The present document has been drafted by the Board of Directors of EMES in response to the launching of the Social Business Initiative communication [COMM(2011) 682/2] by the European Commission on October 25th, 2011. 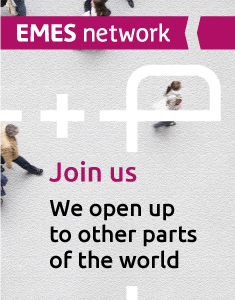 It is meant to reflect the collective view of EMES, gathering the experience and opinions of the leading scholars in the field of social enterprise. 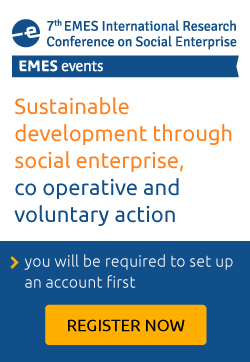 As the leading research network in the field of social enterprise, the EMES European Research Network would like first and foremost to express its appreciation vis-à-vis the launching of the Social Business Initiative by the European Commission. The researchers of EMES appreciate the decision of the Commission to give a specific definition of social enterprise, to recognise the economic and social importance of these organisations in the European Social Model, and to frame this Initiative within other larger policy actions, namely the Europe 2020, the Innovation Union and the Single Market Act. We also acknowledge the event organised to present the initiative to stakeholders in Brussels on November 18th, 2011, although we would have liked to see a stronger presence of European researchers, social economy representatives or umbrella organizations and practitioners. Greater clarity in the terminology (avoiding the confusion between social business, social enterprise and social entrepreneurship) would help consolidate the scope and goals of the Initiative, increasing its effectiveness. While all the proposed policies are helpful and issues related to financing are important, improving the legal and fiscal environment, and increasing the visibility of social enterprises are likely to be at least as beneficial to the sector. The lack of recognition in particular will necessitate a large comparative research effort to improve the knowledge of this type of enterprise, and of a strategic education and training action in order to change perceptions around controversial issues like state aid or public market.